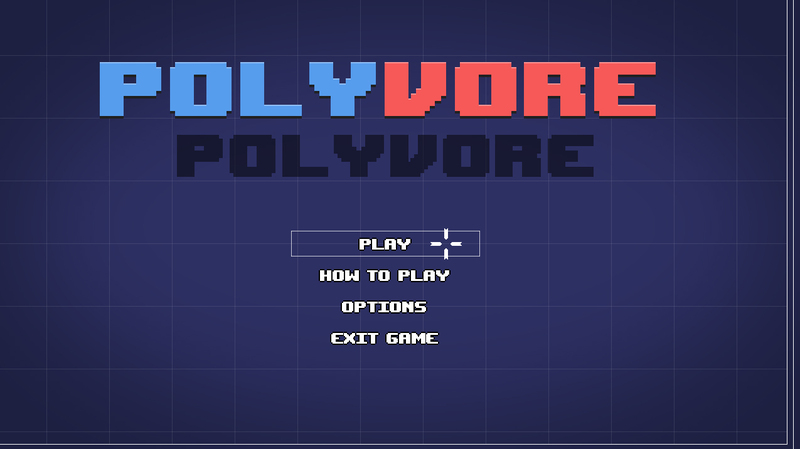 Polyvore is a Ludum-Dare 35 competition entry. 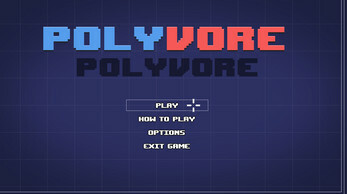 Polyvore is a fast-paced free-for-all about adding sides to your polygon. 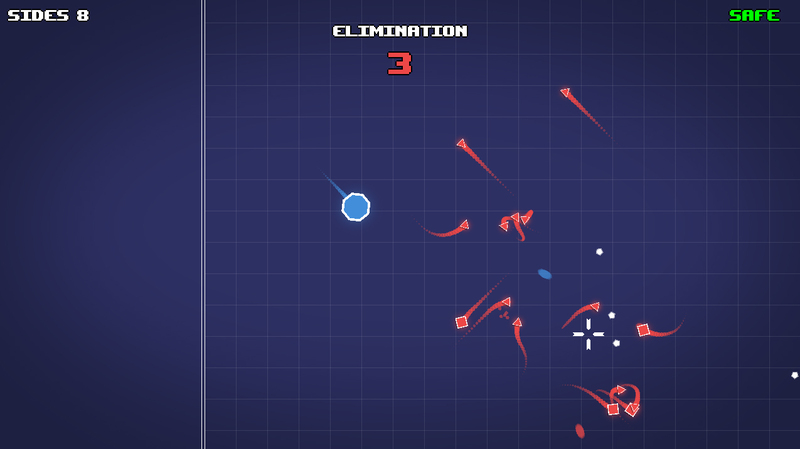 In this arena, you hunt enemies by stealing their sides and taking them for yourself. Having fewer sides keeps you fast, nimble, and ready to hunt the bigger targets. 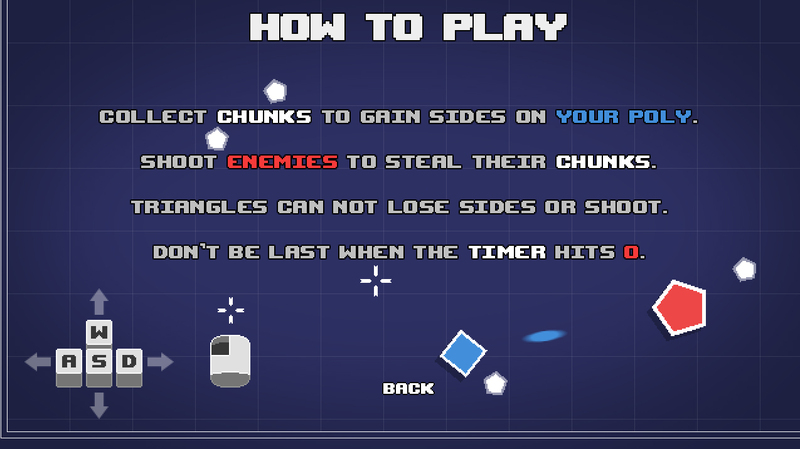 However, becoming a triangle disables your ability to fire until you scavenge your way back up to at least 4 sides. 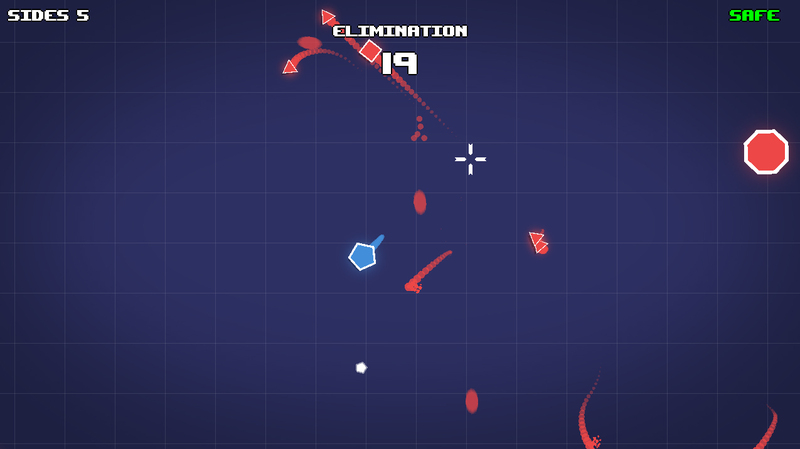 Having more sides keeps you safe from the Elimination Timer, but you're slowed down and targeted more often. When the timer at the top of the screen hits 0, the Polygons with the lowest amount of sides gets eliminated. If you're one of them, it's GAME OVER. 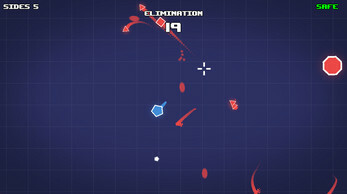 Fight your way to the top and defend your Polygon. This game was created using Game Maker: Studio. The project files are available to download as well.